In August, I had the opportunity to spend the month traveling up and down the North Coast and connect with you all and hear about your priorities for the fall session of Congress. Each time I’m home, I am reaffirmed in my belief that the second district of California is the most beautiful in the whole country (a fact which I often brag about to my Congressional colleagues)! These breaks in the voting schedule are the perfect opportunity to hear about your priorities and to brainstorm with you on how I can better serve you. Like you, I have been shocked and saddened by the constant stream of gun violence tragedies. But my grief turned to frustration when congressional leadership refused to even allow a vote on bipartisan gun violence prevention legislation. I hosted a documentary film screening and briefing on advancing commonsense gun violence prevention legislation last month in Larkspur. With over 200 people attending, it truly was a full house. The film, “Making A Killing: Guns, Greed, and the NRA,” examines the gun lobby and our nation’s gun violence crisis. Following the film, I spoke with community leaders about steps we can take to prevent gun violence tragedies in the U.S. and make our communities safer. I also spent several days meeting with advocacy groups, law enforcement officers, and members of the community. Together, we can convince Congress to reduce the risks of gun violence. One of my favorite ways to catch up with my constituents is through regular “Coffee with your Congressman” meetings. Not only do I get to have a cup of the best coffee across the North Coast, I also have a chance to hear what’s on your mind. 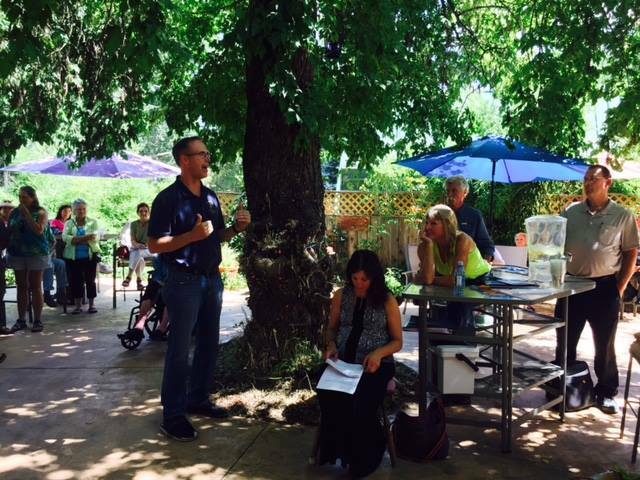 Last month, I had the opportunity to talk to constituents at Red House Coffee in Weaverville and at the Geyserville Inn in Geyserville. These were productive discussions on a wide range of topics: depleted water storage in Trinity Lake, improving the quality and accessibility of health care for veterans, increasing the U.S. Forest Service's ability to more quickly and effectively implement forest projects. I’ll be sure to keep you posted about upcoming "Coffee with Your Congressman" meetings and hope to see you at the next one! Health centers across California’s North Coast provide essential patient care to many in our community who depend on their vital services. Recently, I was proud to announce that 14 local health centers were recognized for their high achievements in providing top-notch patient care, and were awarded $897,200 in federal funds to invest in current quality improvement systems and infrastructure and to improve primary care service delivery. I’m grateful to the U.S. Department of Health and Human Services’ Health Resources and Services Administration for awarding this much-needed federal funding and I will continue to advocate for high-quality health care in our communities. Read more here. We still have a lot of work to do to restore the iconic Trinity River, and its naturally-spawning salmon and steelhead populations, back to the healthy levels that existed before the Trinity and Lewiston Dams were constructed. While I was visiting the area, I got a tour of the important work the Trinity River Restoration Program is doing on the ground – and in the river! 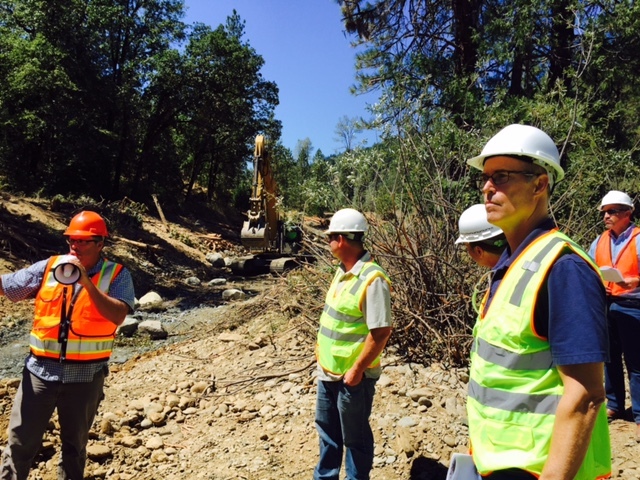 This tour underscored the importance of working with the Yurok and Hoopa Valley Tribes, stakeholders and project leaders, as well as federal agencies and my colleagues in Congress to keep this program on track and restore the Trinity River’s salmon runs. 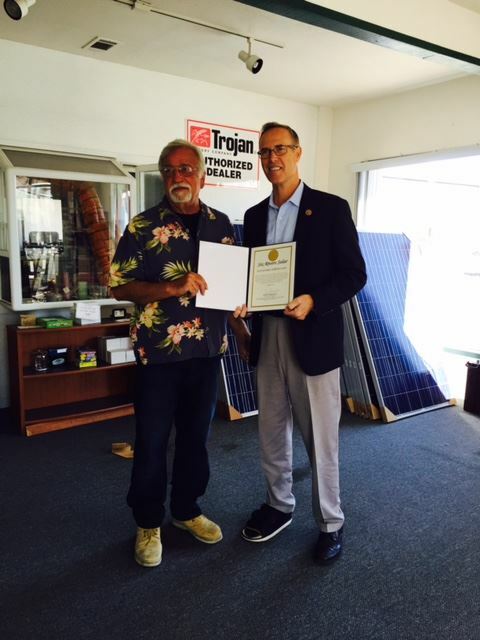 Throughout my time in Congress, I have been regularly touring and recognizing outstanding sustainable local businesses and organizations with my Sustainable North Coast Certificate. Congratulations to the newest recipient: Six Rivers Solar! For 36 years, the company has been helping citizens of Humboldt County make smart decisions when it comes to solar energy products while installing hundreds of solar systems in the area. I'm looking forward to seeing what this dynamic company accomplishes in the future. The North Coast of California is an incredible place to live, and by working together, we can continue to make our community a little greener, safer, and a better place to live. Please don’t be a stranger- I’m always open to hearing your ideas on how to best serve you. Contact me via Twitter, Facebook, email, or call one of my district offices, and we will continue to help to the best of our ability. And check out my new Instagram account to see photos from my Washington, D.C., office and across the 2nd district!